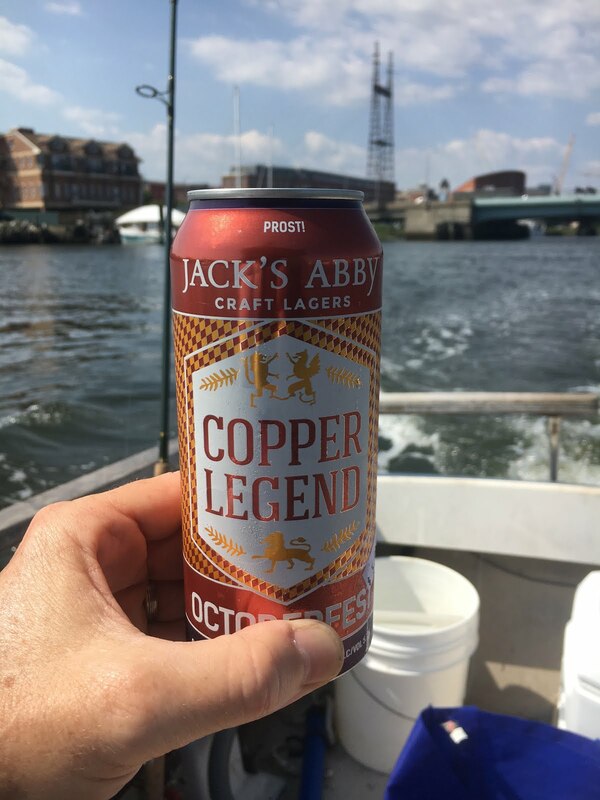 Jack's Abby does it again with another outstanding lager. 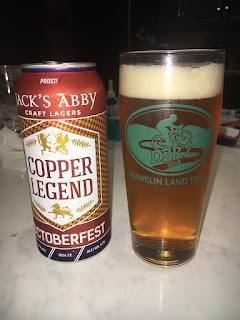 Copper Legend, Octoberfest taste really good. The only downside is it doesn't have that Märzen flavor associated with just about all the German Octoberfest beers that I have had. Still, it's light enough to be enjoyed after a hard ride or fishing all day on Long Island Sound! I thought it might be a good idea to spend a day reconnoitering the course I designed for the NWCT Autumn Roubaix Classic to see if there were any surprises on the route. 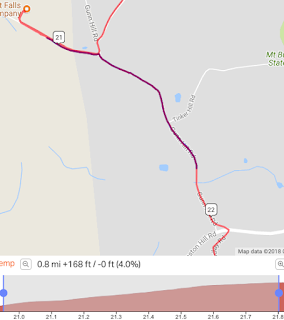 The original thought was to have an easy and hard route, so I decided to ride the hard route, of course. The difference lies in two climbs, Front of the Mountain and Kent Road North. Front of the Mountain is a beast of a climb that starts out at a 7% grade and then doubles to 14% in the middle of the climb and by the time you turn onto Long Mountain Road your are still climbing a 9% grade. I did it without having to stop, however, there were a few sections that were really dry and I almost spun out. Do you want to know where the dirt is in the Northeast? 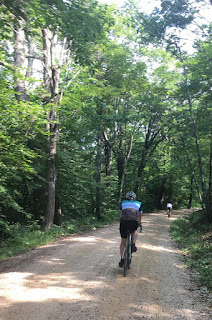 If you like riding dirt roads and are looking for routes to ride, meet other riders, or learn a new area to ride in the Northeast this is the place. The Housatonic Valley Chapter of NEMBA's Thirsty Thursday BYOB (Bring Your Own Bike) ride series has a breath of new life. 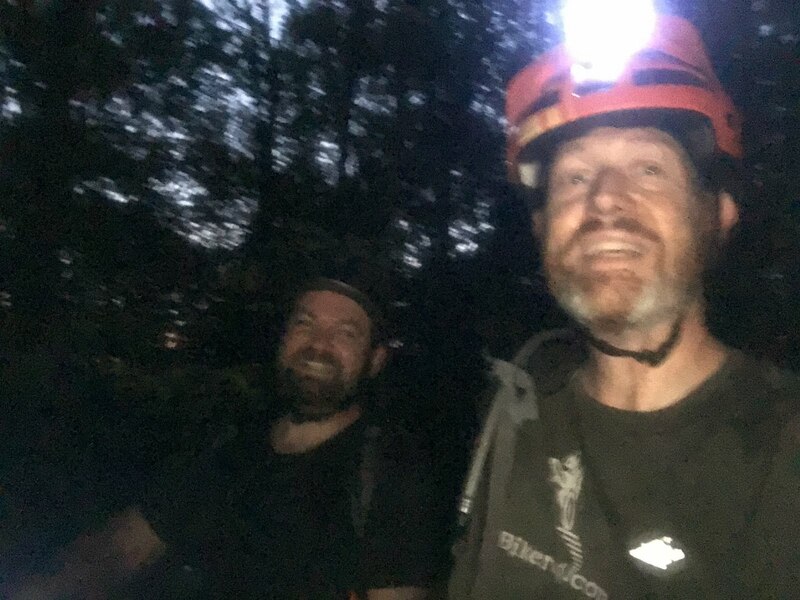 Nick, from Waterbury, and I rode the Upper Gussy from start to finish, and we checked out the reroute that was done on the southern part of the forest, yeah the closed section. 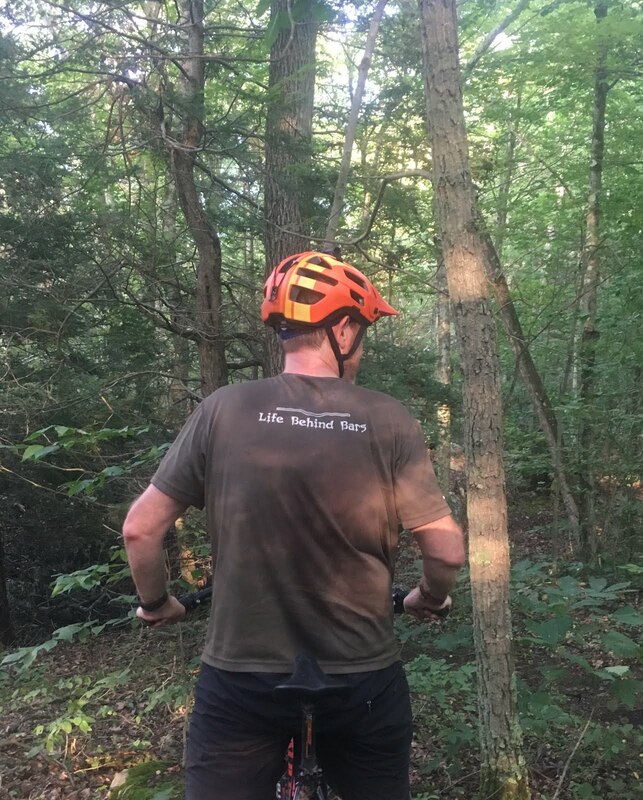 It's too bad that there are bad actors in the mountain biking community who just do as they please. Your illegal work here is just going to ruin it for everyone in the future, especially when I want to add a new trail. 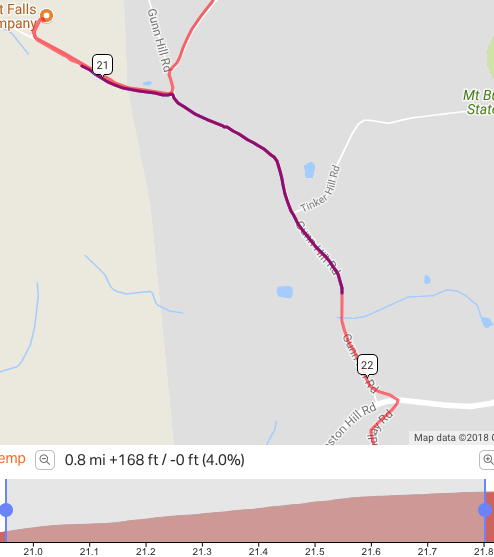 It's been awhile since I was in the forest and discovered a trouble spot on the new reroute. 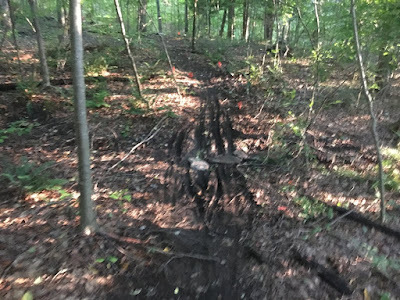 Looks like I will need to do some more armoring but it looks like people aren't waiting at least 24 hours after a big rain for the trails to dry out and that makes me sad. It's getting to the point in the evenings where you need lights around 7:30 or so. Nick had a handle bar light and we were able to see reasonably well. I kept might light on low mode because I wasn't sure how much charge was on the battery. I had a couple of "Seeing Sounds" IPAs from at My Place (local Italian restaurant with an awesome tap selection in Newtown, CT) and it was incredible! It's a hazy American IPA reminiscent of a wheat beer and the same kind of hoppiness only missing that wheat beer flavor, but then again its not really a wheat beer. For an American IPA is really juicy and easy to drink one or three. The first thing we did Saturday morning was download the Long and Short Mystery Routes and then it started to rain! The weather report was saying rain in the morning and a midday shower. 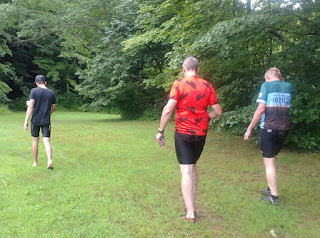 This was turning out to be the wettest D2R2 on record, for me, however not the wettest gravel grinder. If you want to have the full D2R2 experience, you need to camp out before the ride. It's also nice to camp out after the ride so you don't have to cut your celebration short. This is my second year camping out and it's a blast. Especially since, I have fallen in with this great group of guys, and a lady, whom I met through one of my riding buddies, Mike. 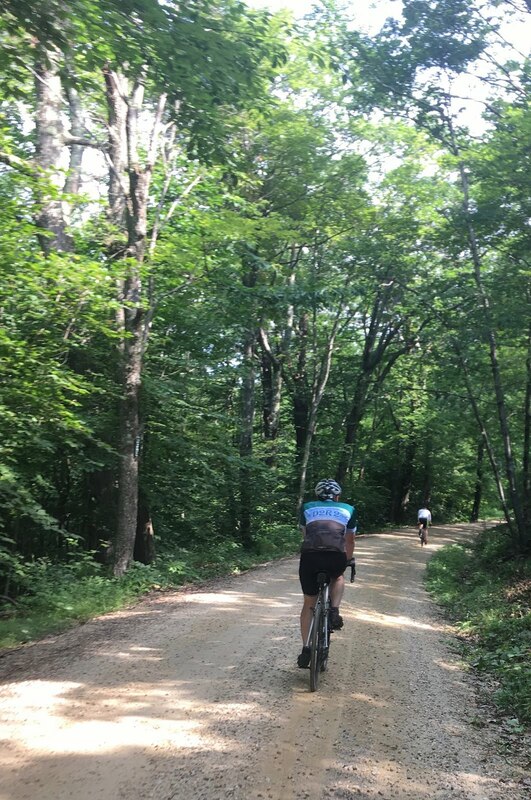 This fall, on September 23, 2018, Hunt Hill Farm, Northwest Connecticut’s experiential learning center of art, in New Milford Connecticut, is hosting a bicycling touring event on the scenic dirt roads of Northwestern Connecticut. The event supports Hunt Hill Farms’ children’s and emerging artists’ programs. The ride will feature three metric distances (30km, 60km, 100km) followed by a concert and cookout. 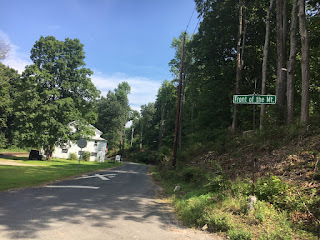 Gaylordesville, Kent, Sharron, Warren, Kent Hollow and New Preston Connecticut. Cost: Riders pay $75 for 30km, $85 for 60km, and $95 for 100km. Need to get ready for D2R2? Except for those fruity beers, you cannot go wrong at the Abby. This pilsner is light and crispy that reminds me of those hot days back in Austria when we had no air conditioning and drinking a cold beer really cooled you off. 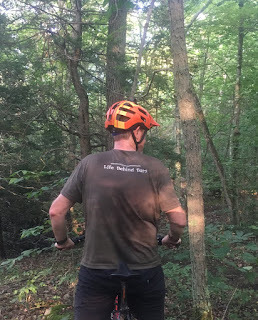 eBikes are not permitted on CT Trails - it's the law! 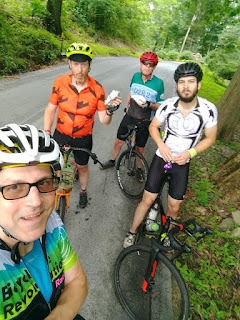 Electric bicycle legislation (PA 18-165) was passed in July that recognizes e-bike riders as vulnerable users, and provides guidelines for where e-bikes are permitted to be ridden! From one of the oldest breweries making Schwarzbier (black beer) in the world is Köstritzer. I can't put my finger on the taste but if you have lived in Germany and enjoy German beer you will immediately recognize that distinctive taste. 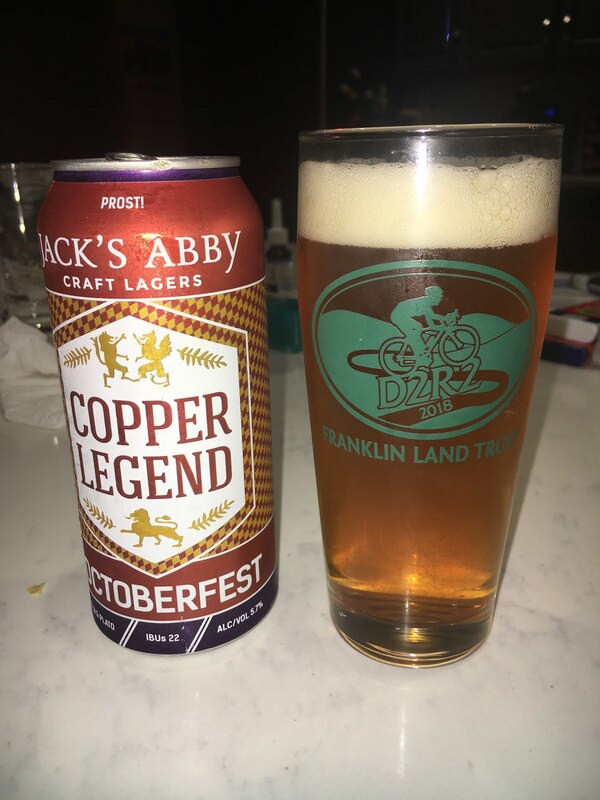 It's great after a long road ride or after some huckling and buckling in the woods, or for any occasion. Noch ein Bier daß Ich Dir empfehle!